It’s easy to confuse early detection with prevention. Over the years, many women have said to me, “How could this breast cancer happen to me? 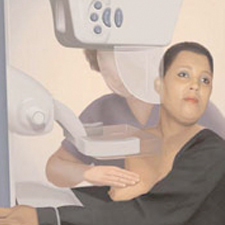 I’ve been getting my mammogram every year!” I think many women believe that mammography prevents breast cancer. It doesn’t. Rather, mammography is our best tool for early detection: finding breast cancer in its earliest stages, when the cancer is most treatable. Combined with your doctor’s breast examination and your own breast self-exam, mammography can save your life. I believe that it probably saved mine. My April mammogram at age 51 showed a change when compared to my mammogram from the year before. This led to a flurry of tests — ultrasound, MRI, and biopsy — which confirmed a diagnosis of invasive breast cancer. After multiple surgeries and continued hormonal therapy, I’m on my way to recovery. Every woman deserves her best chance for early detection of breast cancer. It is the most common cancer affecting women in the prime of their lives. Early detection has been proven to increase the chances of surviving breast cancer by about 30% (depending on your age and your situation). Still, a recent study that looked at the mammography records of about 1.5 million women between 2006 and 2009 found some frightening results. Only about half of women age 50 and older are getting mammograms each year. And fewer than half of women (47%) between age 40 and 50 are getting mammograms consistently. All this comes after the U.S. Preventive Services Task Force recommended new mammogram guidelines in 2009 that called for major cutbacks: women between 40 and 50 would only get mammograms if they were at high risk and women 50 and older would get mammograms every other year. If adopted, these recommendations would lead to fewer women getting mammograms. I believe that not getting regular mammography is a huge missed opportunity to potentially save your own life or help you find cancer early when less aggressive therapies are necessary. In today’s New York Times article, A Doctor’s Mammogram Mission Turns Personal, I shared my own story to encourage other women to get a mammogram. Too many precious lives are at stake. I hope reading the article is helpful to you and your loved ones. Thanks for sharing your story and thanks for providing another reminder to many that early detection can save lives. I was diagnosed in 2008 with Stage IIb IDC at 42 following a “routine” mammogram that showed changes from my mammogram the year before. When I meet newly diagnosed women I refer them to BreastCancer.org. Keep up the good work and I hope you have a healthy and happy 2011! It is terrific that Dr Weiss feels comfortable to share this personal information with us. I have read a number of articles about this issue now and I admit I am confused as some articles said Dr Weiss had very early BC, had surgery but was not having radiation but others said she had invasive BC. As this article is on her site and states invasive, it would more most likely to be correct. There is a reference to multiple surgeries but the type is not stated. I do not want to pry beyond whatever Dr Weiss is comfortable about sharing, but I was wondering about her decision not to have radiation and whether she had a mastectomy or lupectomy/wide local excision. I know after mastectomy RT can be omited in some cases, but that omiting RT for an invasive BC after a lumpectomy/wide local excision is more controversial. 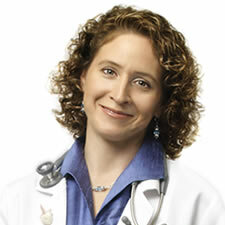 For what its worth, I had a WLE with no RT and no adjuvant therapy either and I am not recommending this course of action for anyone else – I had extremely favourable stats which meant I had a choice – and was wondering if Dr Weiss was in a similar position or if she omited RT for other reasons. I realize early detection is very important and mammograms detect most cancers. However, with all the “breast cancer awareness” ads, I feel there is a missing piece. I found my lump three weeks after having a routine mammogram. The mammogram report assured me everything was okay. Because I had just had a mammmogram, my doctor told me the lump that I was feeling was nothing to worry about. Heck, after finding the lump and just having a mammogram, I tried to convince myself that everything was okay. But fear and logic won out and a month later, I insisted on an ultrasound. The ultrasound showed a solid mass. When I questioned the radiologist as to why the mass wasn’t detected, I was told that my breasts are very fibrocystic and the films are difficult to read. WHY AREN’T WOMEN AUTOMATICALLY TOLD WHEN THERE FILMS ARE DIFFICULT TO READ? WHY AREN’T THEY AUTOMATICALLY SCHEDULED FOR A BREAST MRI? I know insurance plays a big role, but in the long run, wouldn’t it be cheaper to catch it early? I was diagnosed with stage I disease, after insisting on follow up care upon finding a lump. Ten years later, I am now battling stage IV disease. Shouldn’t part of the “breast cancer awareness” campaign be to educate women that mammograms aren’t infallible and to educate physicians, and I strongly emphasize this point, to inform their patients of “unreadable” mammograms? I have a degree in mathematics and understand that mammograms detect 90%+ of breast cancers. I also understand that insurance companies need to look at percentages and weigh their bottom lines. However, I am now costing my insurance company thousands of dollars every month. There seems to be a break down in our health care system. Did my physician receive a report that my mammogram was fine or did it state it was difficult to read? If it all boils down to the insurance costs, shouldn’t we be at least informed as to the reliabilty of the test? How many years did I have my breasts squashed for an unreliable test and told everything was okay? Again, I stress the unreliability of the test for women with very fibrocystic breasts. Why aren’t we informed? Dr. Weiss — I just read about your diagnosis and treatment in the NY Times. I’m so sorry to hear that you’ve been through the trials and tribulations…but thrilled to hear you are doing well and back fighting for the rest of us. Wishing you and your family — and all of your staff — the healthiest and happiest of New Years — you saved my sanity — and probably my life — and I’m forever grateful. I just sent this story to my sister because she wont get a mammogram, she is affraid that the mammogram itself might cause her to get cancer. I lost my best friend of 25 years to Breast Cancer 5 and a half years ago, she was 39 when she was diagnosed and 40 when she passed away. Hers was metastatic so it was a bad kind, very aggressive. I dont know how to convince my sister to get a mammogram. My husband is a Physician and has given her information letting her know that it is the best thing to do for early detection. I got my 1st. one at 35 and so did my Best friend but she didnt make it to get the one they recommend at age 40. My sister is almost 47 and I dont know how to convince her, maybe I just cant. Dr. Weiss, wishing you complete and permanent recovery! I am one of the women who had yearly mammograms (14 in 14 years). My BC was not picked up by mammo. I seem to be in the significant percentage (I believe 30%?) of women who are “mammogram occult”. I wish this phenomenon was better publicized. Had I known that I was not “safe” after my yearly mammos, I might have elected for additional ultrasounds or thermography. Thanks for sharing your story. When I was diagnosed 5 years ago I told my surgeon that I felt as if I had used all the years of mammograms and self exams as talismans to ward off evil but that the evil had found me anyway. My cancer was ILC so there was no lump. If not for the mammogram it would not have been found until it was significantly larger. I wish you a complete recovery with no side effects! Thanks for all the great info, Dr. Weiss. Please inform me as to why ultrasound, thermography or MRI are not used in lieu of mammography when mammography uses cancer causing radiation. I have heard a lot of confusion on this topic lately. Why are we using these things to confirm the mammography findings instead of using them in the first place? Your expertise is appreciated!